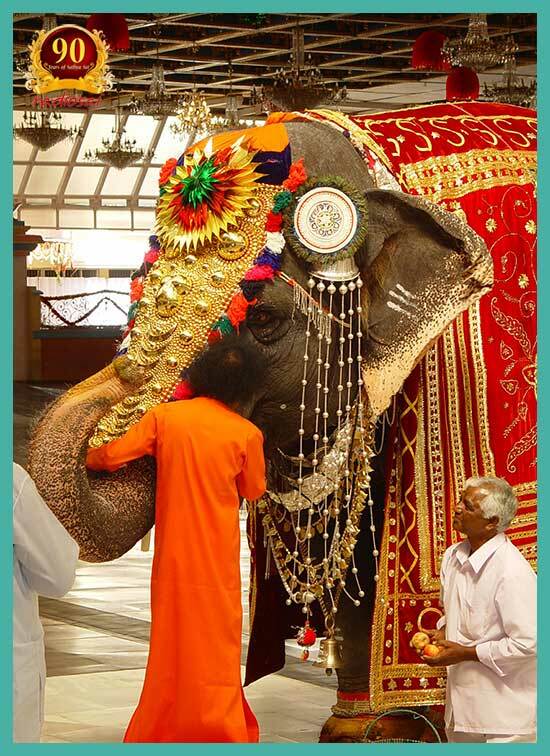 This is no story but a real life narrative about two souls – an elephant and her caretaker - who were inextricably bonded in a special relationship through their unconditional love for Swami. 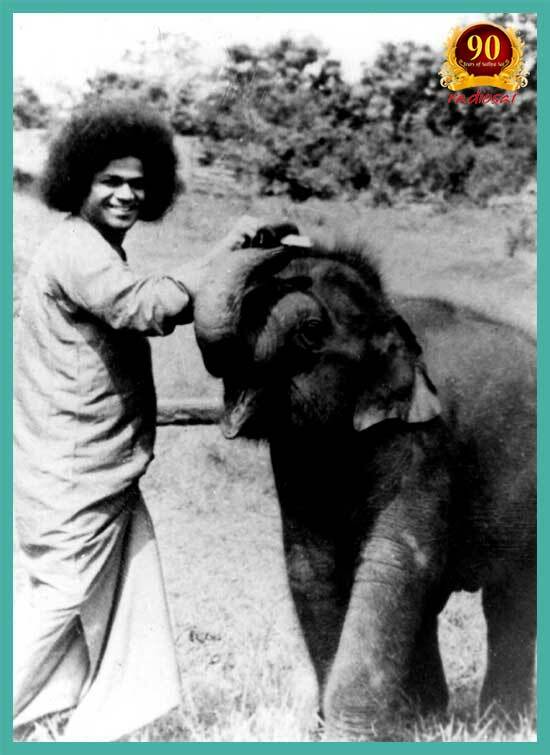 Simple and humble, with every breath suffused with their love for Bhagawan, the two communicated not just in silence, but also through words! Their lives as retold here exemplify the power of unshakeable faith, trust and surrender. It also illustrates how pure and potent love for the Lord instils an aura of resplendent divinity in the devotee. This is the third article in this 90th Birthday special series, the previous two being: When Faith Powers You and Love Strengthens You and A Sai-Centric Life and Living. “I cannot forget that day ever. It was not even seven in the morning and Swami's car was already there. As He alighted eagerly, His eyes were only searching for the body of Sai Geetha that now lay silent and still. The moment He saw her, Swami clasped my hands and broke down. He started weeping like a baby. Seeing Him in that stage, the dam within me also burst. I just could not hold myself any longer and succumbed to a sea of tears. “Swami held on to my palms just as a best friend would hold you and cry in a moment of intense grief, somehow to lessen the sense of loss and find some solace. At one point, His grip grew tighter and then He looked into my eyes and shaking with anguish said, ‘We have lost a great devotee... I have lost My great devotee’. The pain with which Swami uttered those words virtually paralysed me. In that instant, intense remorse was transformed into a moment of intense revelation. “I knew how much Swami loved Sai Geetha and how great her love too was for the Lord but I had not known Sai Geetha meant so much to Swami! “He repeated those words ‘I have lost a great devotee’ several times as He began moving closer to her. 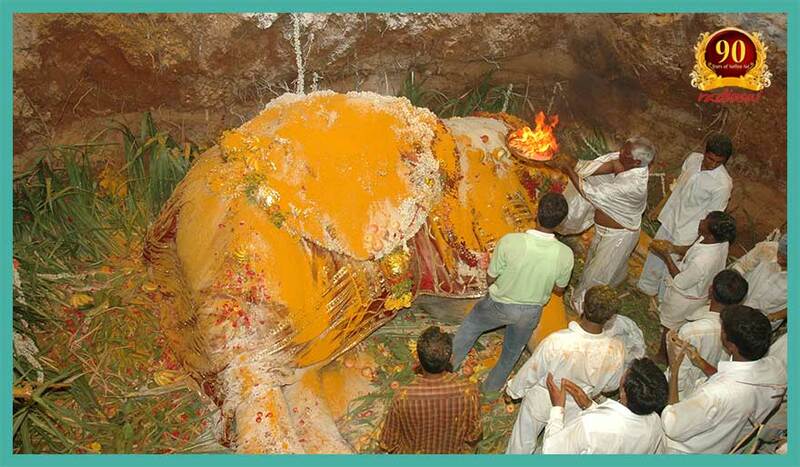 My mind was now overwhelmed with powerful memories of this divine elephant and her ethereal love... the way she would literally dash to Mandir on festive occasions impatient to see her Swami; the manner in which the Lord, the moment He spotted her, would cross the verandah and walk all the way down Sai Kulwant Hall and allow her to caress Him, touch His feet and fondle His hair; the uncontainable restlessness in her to come on to the road the moment she ‘sensed’ Swami had left the Mandir; the graceful, dignified and disciplined manner with which she led all the processions in Prasanthi Nilayam, absolutely conscious of what would please her Swami; the prayerful and patient attitude with which she would wait for any length of time in the Mandir just to be blessed with that one darshan and one look; how she always avoided company and wished for silence at her shed and would not tolerate the sevadals gossiping at the gate; the way she welcomed Swami's students to her only because Swami too loved them; how she would inconsolably and unceasingly shed tears and even go without food for days when Swami was away from Prasanthi Nilayam - how life without Swami was just unthinkable for her. 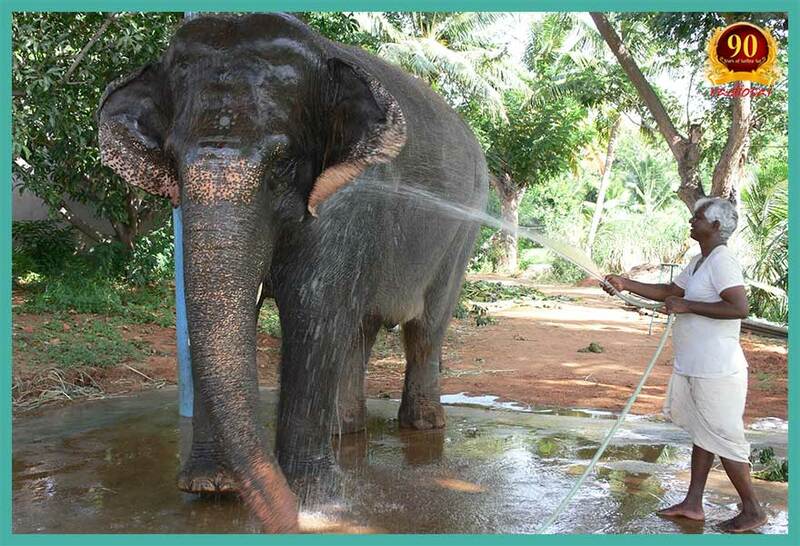 “She spoke to me in Telugu,” Mr. Pedda Reddy replied nonchalantly as if it was common for elephants to communicate with us in our native languages. “What? Really?” It was obviously unbelievable. Mr. Pedda Reddy didn’t seem in the least surprised – he was as still as a lake. “Yes,” he said, “Actually no one knows this. In fact even I was startled when this happened to me for the first time sometime in 2002-03. One night after I finished her work and was about to leave, I heard a voice calling out to me in Telugu. It was soft, serene, warm and welcoming. I wondered who was calling me and looked around but there was no one. When the call was repeated, I paid attention towards the direction of its source and can you imagine what I saw? It was not Sai Geetha anymore. Instead, where she stood, I saw a resplendent halo of bright light. It was this light that began to speak to me. Since that day, I have had many conversations with this Bright Light, generally during the nights. “That is precisely what she told me,” Mr. Pedda Reddy continued, “She just could not imagine her life without Swami. Her connection with Swami was so solid and her love for Him so intense, so pure and so potent. “Tell me if there is anyone else in the history of the Sathya Sai Avatar for whose funeral Swami was present physically?” Mr. Pedda Reddy went on, “Not only was He there early in the morning, He in fact supervised every minute detail of the ceremony. He even gave instructions that the body should not have a single scratch, and must be carefully lifted not dragged. That is when a crane arrived to take her off the ground and place her in the sacred pit – all under Swami’s watchful and protective eye. Swami wanted that space to be filled with all holy items like Vibhuti, turmeric, vermillion, loads of flowers and all the choicest grass and other leaves that she loved to eat. “As this was going on, Swami returned to Yajur Mandir and asked me to follow Him. He handed over to me all her precious jewellery that He always kept in His residence. Sai Geetha used to be decked with these on all major festivals. ‘All these should be on her now too. Place them on her,’ He instructed. After handing these over to me He again started off to the Samadhi site. He wanted to be there all through the entire ceremony. “Actually it was very hot then. It was 11 in the morning. But Swami insisted on being there until the ceremony was complete. So lost was I in managing the proceedings that I too in my foolishness did not request Swami to come inside the planetarium and sit in a shady area. How negligent of me! I feel very bad when I think of it now. Swami left the premises only after directing all the offerings that should be made on her sacred body and watching the pit finally covered with Vibhuti and then mud. It was beyond 12 noon. “Undoubtedly,” I humbly nodded, trying to absorb everything he had narrated. But there was more coming. “Wow! How holy she is! And how blessed you are!” I told Mr. Pedda Reddy, “You had the chance to serve such an enlightened being!” His fortune indeed was immeasurable and I did not know how to congratulate him for that. “So when did that happen? And how?” Having heard so much about Sai Geetha, now I was eager to hear the story of her caretaker too. Intuitively, I knew that he too was no ordinary soul. “Well, I heard of Swami for the first time in the '60s. By then I was studying in Sambalpur College affiliated to Utkal University in the state of Odisha. Even though we belong to West Godavari district of Andhra Pradesh, my parents had bought some lands in Odisha as they were available for very low prices then. However, during my vacations, we used to come back to Andhra Pradesh. “There was a Sai bhajan group in my hometown, then run by a school teacher. Out of curiosity, I had gone there a couple of times. Meanwhile, my uncle had already been to Puttaparthi and seen Swami. "Based on his experience, he told me that Sai Baba was no ordinary being. Then I read some of His books and heard recordings of His discourses. ‘He must be a great soul’ I said to myself. This itself was strange because until then I was never inclined towards spirituality or anything to do with religion. But somehow there was some attraction towards this ‘Sai Baba’. 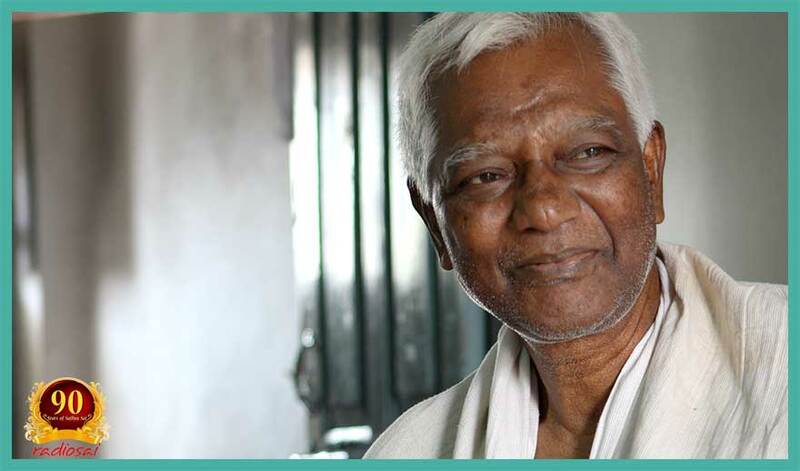 “I saw Him for the first time in Brindavan (Bangalore) in 1969. There was some charm about Him. I felt like coming back to the ashram. So the next year I was in Puttaparthi for the Dasara celebrations. This time Swami picked me up from darshan and told me to go in for an interview. “Once inside, He narrated every detail of my family to me. My parents had passed away by then. He revealed all that was going on with my brothers and sisters. I sat there zapped and stupefied. I was convinced He was not ordinary. That day He foretold the direction my life would take. ‘You will be with Me in the future. You are not going to enter marital life. You are going to stay with Me.’ This came as a pronouncement, clearly and emphatically. I was too stunned to even think. I came out of the interview room like a person who had lost all awareness of himself. It was a life-altering experience.